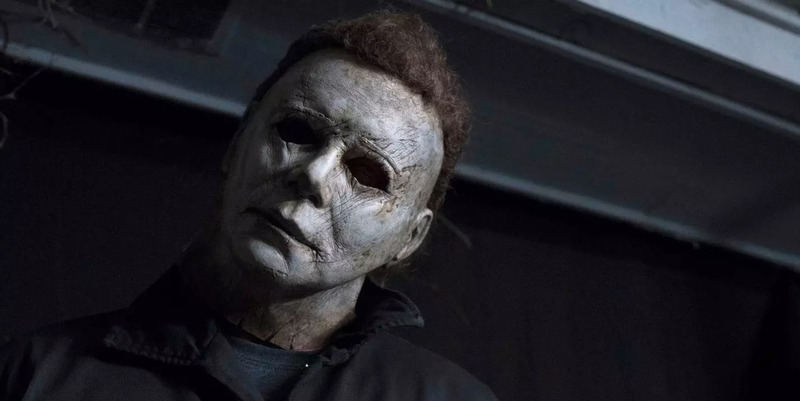 BlumhouseThis year’s ‘Halloween,’ now in theatres, is the latest R-rated movie to make big bucks at the box office. The Motion Picture Association of America is celebrating 50 years of rating films, and it has released a report on the number of movies it has rated. The majority have been rated R, and it’s not even close. The MPAA has rated more than 17,000 movies R in the past five decades. Fewer than 5,000 have been rated PG-13, a rating introduced in 1984. 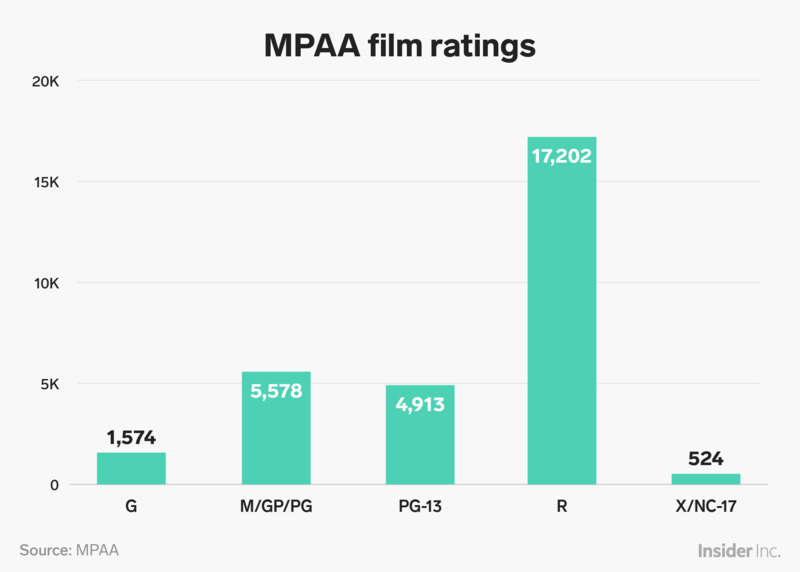 In total, the MPAA has rated 29,791 films, meaning that 57% are rated R. The MPAA said that 428 of its ratings had been appealed and that 165 actually had their ratings overturned. 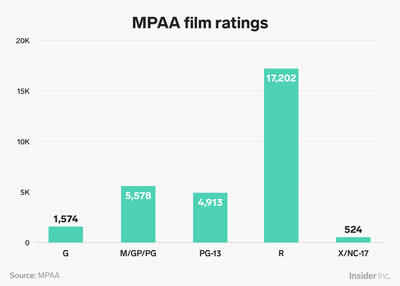 But the MPAA said fewer ratings (1% or less a year) had been appealed since the introduction of the PG-13 rating.